Because I’m often asked about my favourite presentation, here’s one I’d like to share with you. It’s brilliant and provides wonderful opportunities to learn techniques that will help you engage your audience. 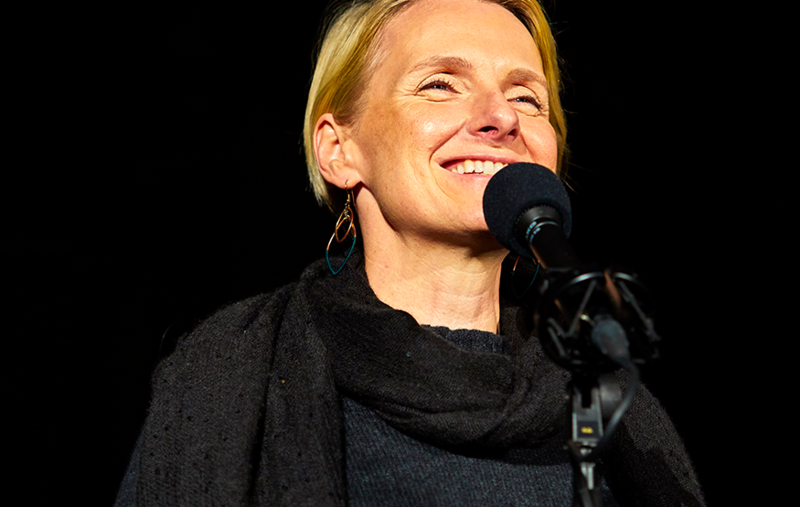 My apologies for sharing Elizabeth Gilbert’s latest presentation using a Facebook link. I’ve tried (and tried) to find a copy that is not native to Facebook with no luck. If anyone knows a workaround please drop me a line. If you’re not on Facebook I was able to find an audio version on The Moth site here. Why you should watch (or listen to) it. Liz is a consummate storyteller. She takes you on a rollercoaster ride. The story she shares is uncomfortable and may disrupt your perspective about relationships. It did mine from the perspective of her being involved in an unbalanced (enabled) partnership and my idealism about death and dying. I couldn’t stop watching because she had me captivated riding a fast-moving train that was catapulting up and down steep terrain. Take away: If you want to be known as a powerful presenter, one who is in demand, you have to own the confidence to cause some discomfort to make change happen. Before you take the stage, if you would like feedback to improve your next presentation, here’s more information on how we could work together, especially if you’re in a time crunch or, you can connect directly with me here.